this year we are thrilled to be partnering with amazing accommodation options in Ymir and nelson, bc. Four unique luxury mountain cabins, 42 acres of private forest land, abundant wildlife, a year-round creek: Welcome to Logden Lodge! 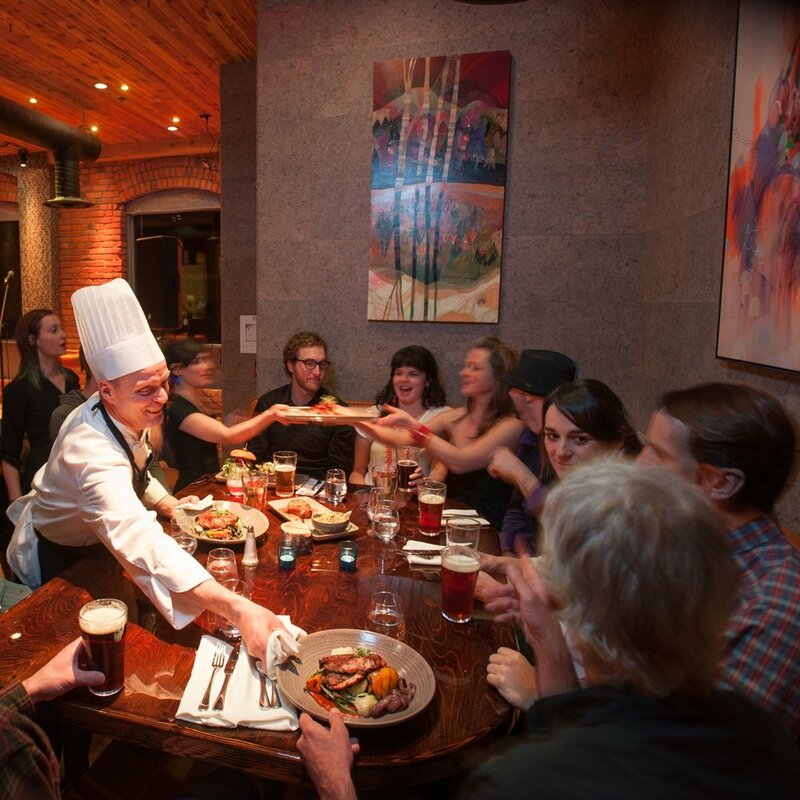 Centrally located in the BC Kootenays at the foot of the Selkirk Mountain range, the new boutique mountain lodge offers you a private retreat to enjoy all mother nature has to offer - and do so in great comfort. Their cabins are deliberately set apart from one another so no matter if you’re the only ones there or not, you feel alone. Each comes with its own individual lay-out, design and furnishings, blending the truly rustic - large beams, hardwood flooring, antiques and a woodstove - with the truly luxurious - over 800 square feet of living space, a large soaker bath, high quality bedding, soft robes and a rich decoration of world artifacts. Logden Lodge is the realization of a life-long dream - to be surrounded by natural beauty, to enjoy the freedom and serenity of the outdoors and to share this one-of-a-kind experience with others; you can call this, "Living the Nature of Things". So if you’re looking to be away from it all, but are not too keen to haul your own ‘accommodation’ up the mountain, chances are you don't have to look any further. Be sure - a very personal and warm welcome by your hosts is guaranteed! Located at 6225 Porto Rico Ymir Road, V0G 2K0, Ymir, BC, Canada. Call +1 250-357-9290 or email them at info@logdenlodge.com to book today. For more information visit their website www.logdenlodge.com. For over a century, the Savoy Hotel has been a fixture of the Kootenays. Purchased in 2013 by local entrepreneur Jimmy Bundschuh six years after a fire condemned the building, the hotel is now once again open for business with 12 boutique rooms. 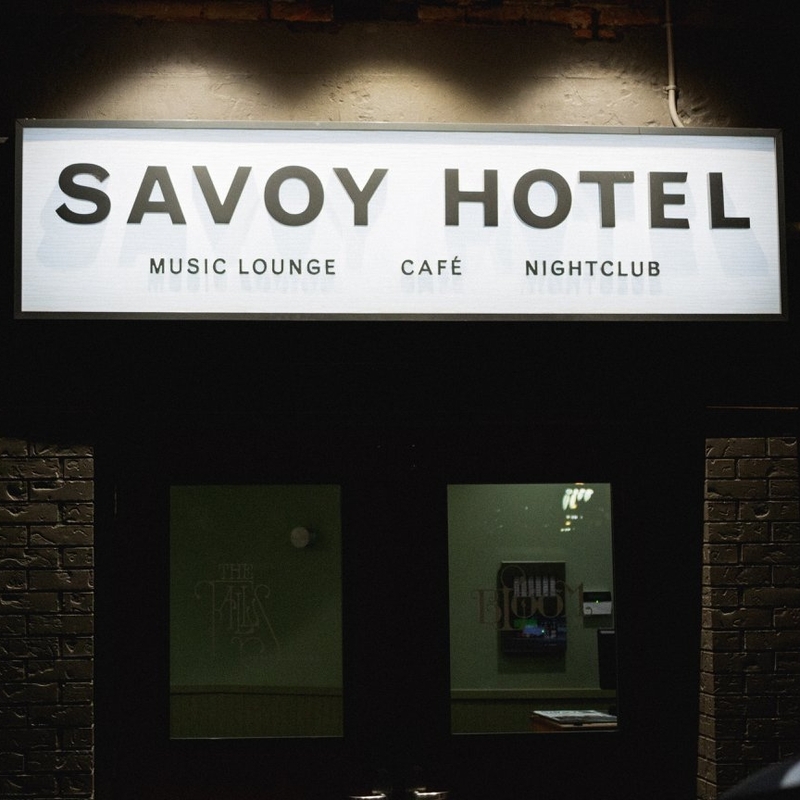 The newly renovated Savoy Hotel also offers a state-of-the-art nightclub, tasty brew pub, music lounge, and sustainably delicious to-go café. Located at 198 Baker Street, V1L 4H2, Nelson, BC, Canada. Call +1 (778) 463-0050 or email them at info@savoyhotel.ca to book today. For more information visit their website www.savoyhotel.ca. The Hume Hotel & Spa is a full-service Nelson landmark property originally built in 1898 and is a must-see part of your trip to the area. This past year, finishing touches were put on the last wing of guest rooms. All three floors have been beautifully renovated maintaining that heritage charm that they are known for. Overnight guests are treated to a full, hot complimentary breakfast each morning made to your liking. With careful attention to detail and first-class service, guests are treated to an experience that is at once reminiscent of a grand Victorian era long since past and indicative of a new Nelson tradition that will live on for years to come. The Hume Hotel continues to be the Grand Old Dame of Nelson. They are pet friendly as well as motorcycle friendly providing designated parking stalls for your ride. They look forward to your visit, and the opportunity to share their home with you. Located at 422 Vernon Street, V1L 4E5, Nelson, BC, Canada. Call toll free from anywhere in North America +1 877-568-0888 or locally +1 250-352-5331. You can also email them at info@humehotel.com to book today. For more information visit their website www.humehotel.com.